Thanks to the rise of cloud storage, there’s a seemingly endless number of ways to save photos, music, documents, or anything else offsite. Unfortunately, if you ever want to transfer that data from one service to another, the process can be quite tedious, as you’ll probably be forced to download everything and then manually re-upload all those files to a new home in someone else’s server farm. 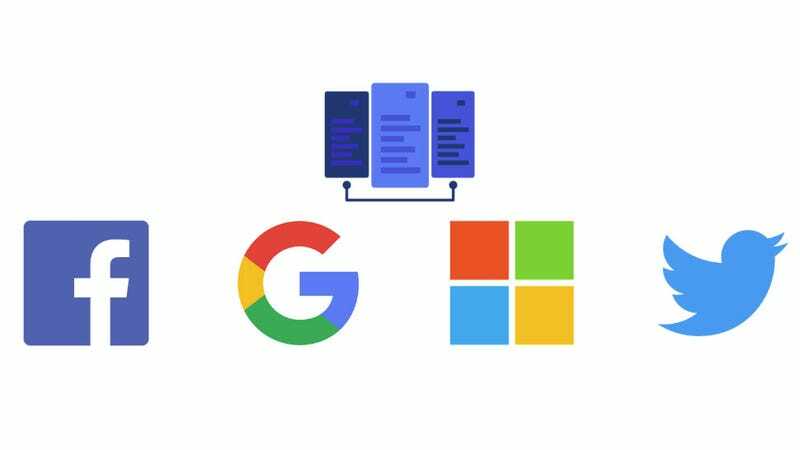 In an effort to simplify and streamline the process of moving your data around, Google, Microsoft, Twitter, and Facebook have teamed up to create the Data Transfer Project, an open-source data portability platform designed to make moving all your precious files a little less painful. While the DTP is still a work in progress and according to the website “is not quite ready for everyone to use yet,” code for moving your data around is available on GitHub and can be used to transfer data between several major storage providers, including the big four above along with Flickr, SmugMug, Instagram (which is owned by Facebook), and Remember the Milk. However, to get things working right now, you’re going to have to be more than a little tech savvy. You’ll need to obtain your own API keys from the services you want to use, and also get DTP’s demo server running locally on your machine. But once DTP is fleshed out some more, it could make moving your data easier by enabling you to transfer encrypted files directly from something like Microsoft OneDrive to Google Drive without needing to download them to your phone or computer first. Currently, there are existing services like Google Takeout and others that let you download your data from one company, and thanks to GDPR, Europe now requires all online storage services to provide tools that allow users to download their data. But that’s really only half the battle. Going forward, according to remarks made to the Verge by Google Takeout lead Greg Fair, the real challenge for DTP will be getting enough of the other cloud storage organizations to join in. “In the long term, we want there to be a consortium of industry leaders, consumer groups, government groups, but until we have a reasonable critical mass, it’s not an interesting conversation,” said Fair. That means to really make DTP work, the group is going to have to find a way to get other major players like Amazon, Apple, Dropbox, Mega, and others on board, which could be harder than it might seem, because by making it easier to move data around, it also makes it easier to ditch one storage provider for another, something that could quickly eat into the original service’s user-base. This could have some serious implications for smaller storage providers, because if DTP makes it easier to leave, many users may jump ship to one of the tech giants, further cementing their position at the top. And in light of the EU’s recent $5 billion antitrust fine levied against Google, DTP could also be seen as a preemptive move to dissuade regulators in the future from viewing Google Drive as something that makes the cloud storage market less competitive. While the Data Transfer Project sounds like a solid idea for consumers, there’s still a lot that needs to happen before it can deliver on the promise of easily moving your cloud data around as you please.